In these Terms & Conditions the word “Organiser” means O.T.P. Travel Services Limited, trading as Rugby Travel Ireland, having its registered office at Annagh, Lisnagry, Limerick, Ireland, Company Registration Number 49758, which is licensed by the Commission for Aviation Regulation TO 0260, and is the company who arranges your transport, accommodation etc. and who offers it as a holiday. “Consumer” means you, the person who takes or agrees to take the holiday or any person on whose behalf you agree to purchase the holiday and who is listed on the booking or any other person to whom you transfer a holiday which you have bought. The “Retailer” is the person who sells or offers to sell the holiday to you, he is not responsible for organising the flight, accommodation or other component parts of the holiday. (a) OFF- LINE BOOKINGS: No contract shall arise until the Organiser has (i) received this completed Booking Form (which has, or a faxed copy hereof has, been signed by the Consumer and by the Retailer as the agent of the Organiser or by the Organiser) and (ii) received a deposit or full payment for the holiday. ON-LINE BOOKINGS: No contract shall arise until the Organiser issues you with a Booking Reference Number. The terms of the contract between the Consumer and the Organiser are contained solely in this Booking Form, the Organiser’s confirmation, the Organiser’s brochure or other descriptive material, any airline or sailing ticket issued, the terms and conditions of any suppliers of services and the itinerary issued by the Organiser. (c) By placing an order through our site, you warrant (a legal promise to us) that you are at least 18 years old. If this is not true then you may not request a booking from us, via our website or otherwise and any booking requests that do not comply with this promise will be cancelled. (d) Your order is for the travel services, match tickets and / or accommodation you have selected. We call this your “package” and will confirm these details to you in writing when your booking request is accepted. (e) Additional products and services which you book at a later date, such as insurance or excursions, will not form part of your package and will be a separate contract with separate rights and obligations. (f) When you book on behalf of others you must make sure that you have shown these terms to them and obtain their agreement to comply with them. You are responsible for all those in your group including for their payment. (g) No one other than you (as lead booker) or us may enforce this contract and these terms do not create any right enforceable by any third party except for OTP Travel Services Limited trading as Rugy Travel Ireland who can enforce the Ticket Terms and Conditions against you. (h) Booking one of our packages is subject to availability at the time of booking. In addition the content, duration and particulars of a package may vary from the date of publication of a brochure or content on our website to when your booking is confirmed. You should check if your package has changed prior to requesting your booking. 2.2 It is your responsibility to check the travel package detailed in your Confirmation Letter or email is complete and accurate as this is what we will provide you. If it is not complete or accurate you must let us know within 5 working days of receipt. If you inform us after then any changes may be subject to an administration and/or cancellation charges. 2.3 Payment is required at the time your booking request is made which we hold until your request is confirmed. Please note that we do not formally accept this money from you until we issue you with a Confirmation Letter or email. If we do not accept your request we will not send you a Confirmation Letter or email and no contract will form. In which case we will return your payment to you. 2.4 We do not accept booking requests that are conditional on any special requests you have made. 2.5 If we have provided you with a quote for a travel package it will be open for acceptance for 5 working days unless we say otherwise. Acceptance of a quote is still subject to availability at the time of booking and the receipt of your Confirmation Letter or email. 3.1 We reserve the right to alter the prices of any of the packages shown in our brochures or on our website. You will be advised of the current price of the package that you wish to book before your contract is confirmed. 3.3 If your booking is made less than 8 weeks before the start of the tournament you must pay in full. 3.4 You must pay us in Euros. You will be responsible for paying bank or foreign exchange charges. 3.5 If you do not make payments when due, we reserve the right to cancel your travel package without further notice. If the balance is not paid in time we shall retain your deposit. 3.6 Lead bookers are responsible and liable for payment for all persons within their groups. All cancellation charges apply to each person covered by a booking. As cancellation cover applies immediately, any insurance premium paid is not refundable. 5.1.1 The below terms are our cancellation terms specifically for the Rugby World Cup 2019 and The British & Irish Lions Tour to South Africa 2021. These terms supersede our normal cancellation terms. The percentage for the cancellation terms is of the total tour cost. Please be aware that if you have bespoke and/or business/first class flights these terms will vary slightly to be in line with the individual airline and the below terms will then apply directly to your ground package. 5.2 If you choose not to receive part of the services you have booked or your finish your stay or trip part way through you will not be entitled to a refund for the goods and services that you do not utilise. 5.3 If you have made a group booking and wish to cancel part of the package for a person or persons within your group but the remainder of the group still intends to travel, then the cancellation charges will apply as above but in relation to the pro rata total booking cost attributed to that person (s). If this change creates an odd number within your group then you will have to pay a single room supplement. 5.4 The cancellation charges or retention set out above will be applied no matter what the reason for cancellation. However, if the reason for your cancellation is covered under the terms of your insurance policy, you may be able to reclaim these charges. Accordingly, we recommend you take out an insurance policy to suit your needs at the time of requesting the booking. 5.5 When you opt for upgrades or other special arrangements we may commit money on your behalf with the end supplier. Often the end supplier will require us to pay a non-refundable deposit and balance payments to secure these. If you cancel a package and we cannot recover the monies from the end supplier for these arrangements we will charge this amount to you or deduct this from any refund in addition to the cancellation charges above. Cancellations for events and other additional products or services are dealt with in the relevant terms. THE CONSUMER’S ATTENTION IS DRAWN TO THE EXCLUSION CLAUSES AND EXCESSES IN THE INSURANCE POLICY ARRANGED BY THE ORGANISER. It is vital that you have travel insurance and we strongly recommend that you are covered from the time of booking as this may assist you in recovering monies paid in the unfortunate event of you having to cancel your trip. It is a condition of this contract that the Consumer is covered either by the travel insurance scheme arranged by the Organiser or covered by another travel insurance scheme which furnishes the Consumer with at least the same level of cover as that afforded by the travel scheme arranged by the Organiser. In the event that the Consumer does not avail of the Organiser’s travel insurance scheme he must furnish details of the alternative travel insurance scheme which he has arranged at the time of booking. It is the responsibility of the Consumer to check that the insurance scheme provides the Consumer with his desired level of cover. In so arranging insurance cover for the Consumer the Organiser is acting as the agent of the relevant insurer and shall not be responsible to the Consumer for any default by the insurer under that policy. All claims made against the insurance policy shall be made directly to the insurer. The Consumer shall be responsible for making any special or increased insurance arrangements which he deems necessary. All our rates and charges are calculated on the basis of two people sharing a room. All bookings for single room occupancy or odd number group bookings will be subject to our single room supplement unless we agree otherwise in writing. 9.1 As part of your package we will allocate you official match tickets for the games included in your booking. 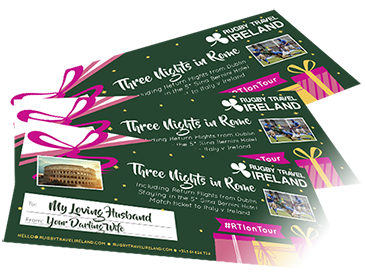 These will be allocated from Rugby Travel Ireland allocation and your category of ticket will be listed in your confirmation letter or email. Please note that the tournament organisers designate the location of ticket categories with the tournament stadia over which we have no control. 9.2 We will distribute your tickets to you in a manner that we deem most appropriate. We will let you know which method of distribution we intend to use prior to departure but reserve the right to amend this at any time. Once distributed, tickets are your responsibility and cannot be replaced. 9.3 Please note tickets will be cancelled if you advertise them for sale on any website or in any other manner. 10.1 We recommend you check your insurance to make sure that you are covered in the event that the match you are due to attend is rescheduled, cancelled or postponed. 10.2 If the tournament, or a match to which you are due to attend is cancelled, we will refund you the face value of your match ticket. Your holiday package will be unaffected by the tournament or match cancellation and we will continue to provide you with these services. (b) The Consumer is solely responsible for ensuring that he presents himself at the port of departure in sufficient time prior to the designated departure time to complete embarkation requirements. If the Consumer arrives after the check-in time stipulated in the travel documentation provided to the Consumer, the Organiser shall not be obliged to carry the Consumer and shall be entitled to treat the holiday as having been cancelled by the Consumer. (c) The Consumer is restricted by regulation of carriers and executive authorities with regard to the weight, type and contents of baggage which he may take on board the craft and/or vehicles which will be used in connection with the holiday. The Consumer shall be responsible for ascertaining any limitations which apply in this regard and shall not present himself at the port of departure with any prohibited item in his luggage or on his person or with items which exceed weight or dimension restrictions applicable. It shall be the Consumer’s responsibility to disclose prior to booking to the Organiser any physical or mental condition of a member of his party which may be relevant and no liability shall attach to the Organiser for the provision of an unsuitable holiday for a person with special needs where disclosure of the disability has not been made to the Retailer or to the Organiser where the booking has been made directly with the Organiser. The Organiser reserves the right to decline to provide a holiday for a person with special needs where in the Organiser’s opinion that holiday would be inconsistent with the special needs of that person. (c) such failures are due to (i) unusual and unforeseeable circumstances beyond the control of the Organiser, the Retailer acting on his behalf or other supplier of services, the consequences of which could not have been avoided, even if all due care had been exercised; or (ii) an event which the Organiser, the Retailer acting on his behalf or the supplier of the services, even with all due care, could not foresee or forestall. 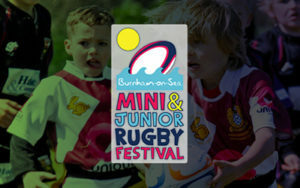 In the case of damage other than death or personal injury or damage caused by defamation or by the wilful misconduct or gross negligence of the Organiser the amount of compensation which will be paid to the Consumer will be limited to, in the case of an adult an amount equal to double the inclusive price of the holiday to the adult concerned and in the case of a minor an amount equal to the inclusive price of the holiday to the minor concerned. The Organiser’s liability will not exceed any limitation applicable under any international convention governing or relating to the provision of the service complained of in the place where they are performed or due to be performed, even if that convention has not been ratified or applied in the Republic of Ireland. Passenger delays In the case of passenger delay, the air carrier is liable for damage unless it took all reasonable measures to avoid the damage or it was impossible to take such measures. The liability for passenger delay is limited to 4,150 SDRs (approximately EUR 5,100). Baggage delays – In case of baggage delay, the air carrier is liable for damage unless it took all reasonable measures to avoid the damage or it was impossible to take such measures. The liability for baggage delay is limited to 1,000 SDRs (approximately EUR1,230). Destruction, loss or damage to baggage – The air carrier is liable for destruction, loss or damage to baggage up to 1,000 SDRs (approximately EUR 1,230). In the case of checked baggage, it is liable even if not at fault, unless the baggage was defective. In the case of unchecked baggage, the carrier is only liable only if at fault. Higher limits for baggage – A passenger can benefit from a higher liability limit by making a special declaration at the latest at check-in and by paying a supplementary fee. Complaints on baggage- If the baggage is damaged, delayed, lost or destroyed, the passenger must write and complain to the air carrier as soon as possible. In the case of damage to the checked baggage, the passenger must write and complain within seven days and in the case of delay within 21 days, in both cases from the date on which the baggage was placed at the passenger’s disposal. Liability of contracting and actual carriers – If the air carrier actually performing the flight is not the same as the actual carrier, the passenger has the right to address a complaint or to make a claim for damages against either. If the name or code of an air carrier is indicated that air carrier is the contracting air carrier. Time Limit for action – Any action in court to claim damages must be brought within two years from the date of arrival of the aircraft, or from the date on which the aircraft ought to have arrived. Basis for the information – The basis for the rules described above is the Montreal Convention of 28 May 1999, which is implemented in the Community by Regulation (EC) No. 2027/97 (as amended by Regulation (EC) No. 889/2002) and national legislation of the member states). A copy of the conditions of carriage applicable to the holiday and the Convention referred to above can be supplied on request. (a) Without prejudice to the Consumer’s rights under Clause 7(b) below, if the Consumer wishes to make a complaint in relation to a holiday, he must immediately inform the Organiser’s representative at the location where the Consumer is when the complaint arises and shall if the Organiser requires, complete a form setting out the detail of the Consumer’s complaint. If the Consumer fails to comply with such requirement, the Organiser shall be entitled to recover the cost from the Consumer of any additional expense incurred by it in carrying out subsequent investigation of a complaint, which is found to be unjustified. The terms of the contract (as provided for in Clause 1(a) of this Booking Form) are to be interpreted under and are subject to the laws of the Republic of Ireland and each of the parties hereby submits to the exclusive jurisdiction of the Courts of Ireland in regard to any matter arising from or touching upon this Agreement. (b) A Consumer who transfers a holiday booking shall be jointly and severally liable with the transferee to the Organiser or Retailer for payment of any balance due in respect of the holiday and for a substitution fee of €100 per person substituted, subject to a maximum of €100 per booking (or such other greater sum as may be authorised). (d) In accordance with the terms of Clause 1(a) the Consumer who transfers a holiday booking and the transferee should be aware that some suppliers, such as carriers, impose cancellation fees and apply restrictions which are not within the control of the Organiser and for which the Organiser shall not be held liable. If after acceptance by the Organiser a Consumer wishes to alter a holiday, the Organiser may do so at its discretion if practicable. 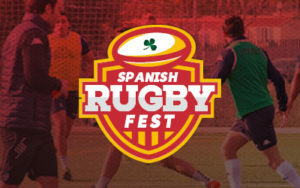 A request for alteration must be made by the Consumer in writing to the Retailer (who shall forward same to the Organiser) or, where the booking has been made directly with the Organiser to the Organiser and must be accompanied by a payment of €200 per person, which payment is not refundable. If the alteration is impracticable the original holiday arrangement shall continue to apply. No alteration by the consumer shall be effective until such time as the Organiser issues written confirmation of acceptance of such alteration and the contract between the Organiser and the Consumer shall be thereby amended to include such alteration. If only some of the Consumers booking request a change, which is found to be practicable, a price adjustment for all Consumers on the same booking may be payable and must be discharged on the date shown in the Organiser’s written confirmation of such change. If default is made by the Consumer in complying with the foregoing requirements, the Organiser shall have the right to cancel the holiday in accordance with Clause 9 and the cancellation charges as provided for in Clause 9 are payable by the Consumer. Once travel has commenced, no changes or alterations may be made by the Consumer and no refunds shall be made in respect of flights or other travel arrangements, which are not availed of. Where accommodation is on request an additional administration charge of €100 will be payable by the Consumer. This charge will be credited to the cost of the holiday once a booking is confirmed. If the Organiser is unable to obtain the particular accommodation requested by the Consumer, the Organiser shall take all reasonable steps to make a comparable alternative available to the Consumer. If the accommodation requested by the Consumer cannot be confirmed or an alternative offered or if the alternative offered is not acceptable to the Consumer, the Consumer shall be entitled to a refund of all monies paid to the Organiser less a €100 administration charge. (a) Without prejudice to the Consumer’s statutory rights, the Organiser reserves the right to alter, change, curtail or cancel a holiday. (b) If as a consequence of “force majeure” (as defined in sub-paragraph (f) of this clause), the Organiser is obliged to curtail, alter, extend or cancel a holiday, the Consumer shall not be at liberty to maintain a claim for compensation or otherwise for any loss arising as a consequence of the said curtailment, alteration, extension or cancellation of the holiday. (c) A minimum number of bookings are required for a programme of holidays. The Organiser’s obligation to provide that programme shall be contingent upon the Organiser receiving and maintaining that minimum number of bookings. In the event that the Organiser does not receive the minimum number of bookings or having received such minimum number has that number reduced by reason of cancellations or transfers by the Consumers or otherwise, the Organiser shall be entitled to cancel or curtail the relevant programme at any time up to 4 weeks prior to the departure date and the Consumer shall not be entitled to make a claim for loss arising as a consequence of cancellation or curtailment in these circumstances. The Organiser shall notify the Consumer within seven days of any cancellation or curtailment necessitated by the foregoing circumstances. (d) (i) If prior to the departure date there is a cancellation, alteration, change or curtailment relating to a holiday, which results in more than 18 hours change in the time of departure or return, or a change of resort or in the type of accommodation offered, or some other change which fundamentally alters the holiday, the Consumer shall be entitled to withdraw from the contract without penalty or to accept the alteration to the contract. (ii) The Consumer shall inform the Organiser or the Retailer (as appropriate, in light of the Organiser’s instructions) of his decision to accept the alteration to the contract or to withdraw from the contract, in writing, within 7 days from the date upon which the Consumer was notified of a circumstance falling within Clause 13(d)(i) Where the Consumer confirms acceptance of the alteration to the contract, the contract between the Organiser and the Consumer shall thereby be amended to include such alteration. (iii) Where the Consumer withdraws from the contract pursuant to Clause 13(d)(i) or where the Organiser, for any reason other than the fault of the Consumer, cancels the package prior to departure the Consumer is entitled (a) to take a replacement package of equivalent or superior quality if the Organiser (whether directly or through a Retailer) is able to offer such a replacement, as may be offered by the Organiser; or (b) to take a replacement package of lower quality if the Organiser is able to offer such a replacement and to recover from the Organiser the difference in price between that of the package purchased and the replacement package, as may be offered by the Organiser; or (c) to have repaid as soon as possible all the monies paid under the contract. (iv) In the event that the offer of an alternative holiday is not accepted by the Consumer, in writing, within such time as shall be determined by the Organiser, from the date of the offer of the alternative holiday the Organiser shall assume that the Consumer has declined such offer and the Consumer shall only be entitled to return of payments made. (e) Further, where the Organiser cancels, alters, changes or curtails the holiday as contemplated in Clause 14(d)i the Consumer shall be entitled to receive compensation in accordance with the scale set out in this sub-paragraph. No compensation shall be payable where the alteration is for the reasons referred to in Clauses 13(b) or 13(c) or where the Consumer accepts the alteration as provided for in 13(d)(ii). (f) In accordance with the provisions of Clause 1(a) the Consumer should be aware that some suppliers, such as carriers, impose cancellation fees and apply restrictions which are not in the control of the Organiser and for which the Organiser shall not be held liable. In this Booking Form the term “force majeure” means unusual and unforeseeable circumstances beyond the control of the Organiser, the Retailer or other suppliers of services, the consequences of which could not have been avoided even if all due care had been exercised or an event which the Organiser, the Retailer or the supplier of services even with all due care could not foresee or forestall, including, Acts of God, natural disasters, adverse weather conditions, fire or other destruction of any vessel, craft or vehicle to be used in connection with a holiday, riots, acts of war, civil commotion, exercise of legislative, municipal, military or other authority, strikes, industrial action, requisition of equipment, mechanical breakdown, shortage of fuel, insolvency or default of any carrier or service supplier connected with a holiday, fraud perpetrated against the Organiser or any other reason beyond the control of the Organiser. 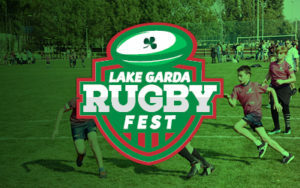 (v) To contact you via e-mail, letter or phone with details of Rugby Travel Ireland or selected suppliers’ products and services including financial services, which may be of interest to you. By entering into a contract with us you agree to the use and disclosure of information by Rugby Travel Ireland as described. A copy of your personal information held by Rugby Travel Ireland can be provided on request. You have the right to have any inaccurate personal information rectified or erased. On our tours we often take photographs of our travelling supporters that we may then choose to use on our website and/or printed material for promotional purposes. By consenting to being in such photographs you are consenting to the use of your image in possible future use on our website and/or printed material.